Sandy golden beach with gigantic waves. Very clean and shallow water for a 100 m. Burc Beach is located in Kilyos which is 15 km. from city center to the north. 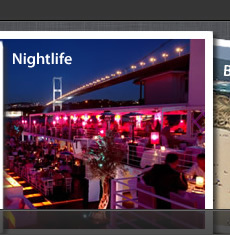 The beach is a club owned by alumni Bogazici University and accept guests too. You can enjoy a good crowd of a thousand in the weekends . Admission is around 10 dollars and the bar is very groovy with dj performances as well. Burc beach is a 1 km-long sandy beach up at Kilyos, This is the spot to really get your teeth into some summer sports like kite-boarding, catamaran sailing, beach volleyball, football, windsurfing, and surfing. Also they are hosting the Kiteboardpro World Tour every year. BURC Beach is one of the most famous beaches located along the Black Sea coast and belongs to BogaziÃ§i University. With its seemingly never-ending seashore, decorated with beach umbrellas, a beach bar and beach-goers partaking in water-sports of all kinds, BURC will make you feel miles and miles away from the city. We guarantee you wonâ€™t get bored here; between enjoying the sea, playing beach volleyball, relaxing over a quick bite and drink at one of the cafes or bar and joining one of the beach parties in the evening, you wonâ€™t realize how quickly the time has passed! 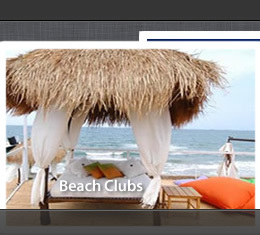 And thatâ€™s not all; you can also try out catamarans, kite flying, surfing and windsurfing, kite-boarding and soccer. The Volkite Kiteboard School offers beginner and advanced classes, movement classes, wave-riding technique classes and kiteboard safari classes- it takes 10-15 hours to be able to comfortably control a kiteboard. BUMED (BogaziÃ§i University Alumni Association) members can take advantage of the free service that departs from the universityâ€™s southern campus every weekend; the service departs at 09.00 from the South Campus center and returns to campus from BURC beach at 18.00. Entrance is 15TL during the week, and 25TL on weekends for BUMED members; BogaziÃ§i University graduates and their guests pay 25TL during the week and 35TL on weekends. BogaziÃ§i students get in for free during the week and pay just 5TL on weekends. Those interested can also purchase a season pass. Pass Maslak,Parkorman take a left to the Kilyos direction when you see the sign after the second traffic light. Drive 10-15 km and cross Zekeriyakoy and finally take a left from Gumusdere sign.